Michael Eavis, organiser of the Glastonbury Festival, has changed the way that festival goers can get their tickets this year. From this morning, people planning to go to the festival will have to pre-register first. They will be required to hand over personal details and a photo that will appear on their tickets. The new measures are designed to make tickets harder to sell on at a profit - sometimes for hundreds of pounds. 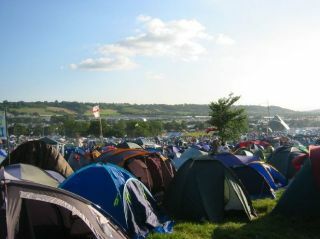 Application forms are available online at www.glastonburyregistration.co.uk , or can be downloaded from the festival's official website. The image must be less than 400KB in size and in JPEG format. Hard copies of the application form can be picked up from the outdoor clothing store Millets, as well. Thousands of applications have already been made. But don't worry if you haven't registered yet - its not first come first served, said Glastonbury's Rob Richards, the man in charge of sponsorship and marketing for the event. "You can register at any point between 1st February and 28th February. Everyone will have an equal chance of getting a ticket when they go on sale," he continued. Tickets go on sale on April 1 this year. Although critics have branded the security measure oppressive and unnecessary, Richards disagrees: "We've had very positive feedback from people who are fed up with eBay touts," he said. "The organisers feel it will discourage people from trying to get a ticket on impulse, which makes it much harder for people to get a ticket in the first place." Mr Eavis said last night in an interview with the BBC that he may consider alternative ticket-less methods in the future to increase security - perhaps involving mobile phone technology.